New Miss Universe is finally here! Congratulations to Miss South Africa Demi Leigh Nel Peters. She is indeed a gorgeous queen! I fall in love with our new Miss Universe, she got the brain and beauty! She has the confident to talk in front of the crowd and I'm sure she can bring a lot awareness and success to all the charity event she will be handling soon. Let's support her together! Her crowning moment! Get me tissue please.. happy tears. 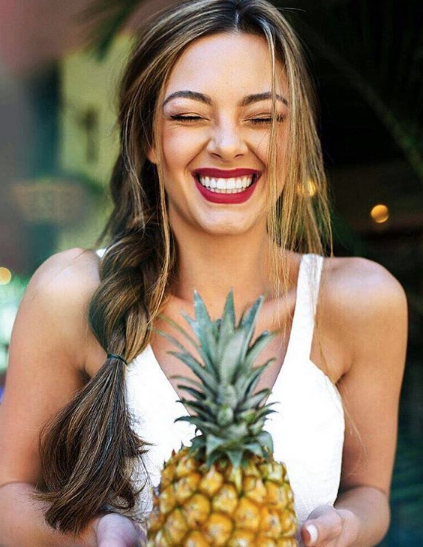 Follow her on instagram @demileighnp Look at her ! She is gorgeous without makeup! Her eyes remind me of my sister, beautiful wide and big eyes. Look at that smile!! Congratulations again!